Samsung is about to lose its leadership position in smartphones sales as it drops below Apple in Q418 as shown in the next table. ​Sales of the Galaxy 9 Series has been very low and as a result the company is making good on its promise to bring new features to its mid-range phones first. The company today announced the Galaxy A9, the world's first 'quad-camera' phone. The rear cameras are arranged vertically on the left-hand side, adjacent to the fingerprint reader. Images of the Galaxy A9 were leaked ahead of the launch by Evan Blassand German site AllAboutSamsung, which filled in details of a claim by phone leaker Ice Universein September that Samsung was cooking up a four-camera phone. There's an ultra wide eight-megapixel (MP) camera at the top. Below it is a 10MP telephoto lens with 2X optical zoom that sits above the 24MP main camera. The bottom lens is for a 5MP depth camera. The Galaxy A9 has a 6.3-inch full HD AMOLED display that's edge-to-edge but with narrow bezels on the top and bottom. An eight-core processor, consisting of a 2.2GHz quad-core CPU and a 1.8GHz quad-core CPU, powers it. The phone comes 6GB of RAM and 128GB of storage, or 8GB of RAM with 128GB of storage. Both have a microSD slot that supports up cards with 512GB of storage to stuff with photos. And the phone has a 3,800mAh battery. The Galaxy A9 will cost between €550 and €599 ($635 and $690), according to AllAboutSamsung. Samsung said the phone would be available in select markets from November. The Galaxy A9 phone will ship with Android Oreo and is available in Caviar Black, Lemonade Blue or Bubblegum Pink. In September Samsung mobile CEO DJ Koh announcedthat this Samsung would kick off a 'mid-range first' strategy that would see it deliver "technology and differentiation" to its Galaxy A lineup ahead of its flagship Galaxy S and Note range. The Galaxy A9 is the first product to spring from this plan, which could help fend off mid-range rivals like Huawei, Oppo, and Xiaomi, while boosting mobile revenues dragged down by sluggish Galaxy Note 9 sales. "Building on our legacy in smartphone camera development we're introducing next-generation technology across our entire Galaxy portfolio to give more consumers the opportunity to experience cutting-edge innovation," Koh said in a statement. Samsung describes the Galaxy A9 as the world's first 'quad-camera' phone. This 2019 phone is going to have a foldable, hinged screen – something you might have guessed from the title of this article. How exactly that's going to work isn't quite clear, but this concept video from TechConfigurations provides some idea, a concept video based on patents filed by Huawei. The handset will probably look a little like two smartphones stuck together, with the usual front display (with a notch) and a back camera. 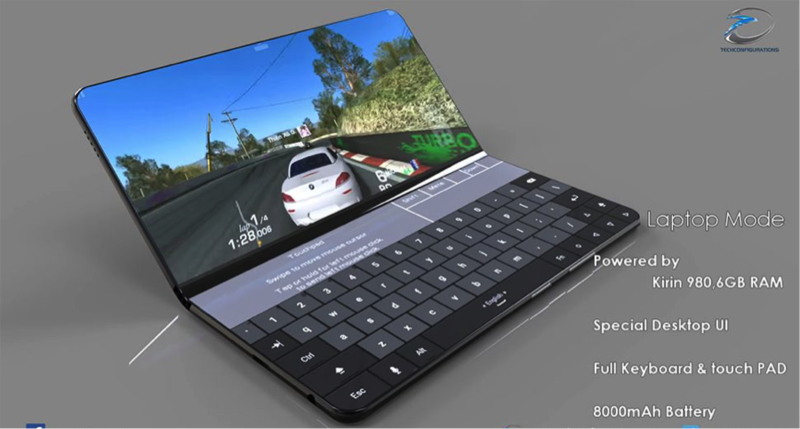 The device's party trick, though, will be the way it can fold outwards to reveal a hinged screen in the middle – one that you might use to play games, for example, or as a mini laptop (with a keyboard on one screen and your apps on another). As yet, the size of the display is unknown, but given Huawei's fondness for large screens, it should be well over 6 inches unfolded. It seems likely that Huawei will want to kit out this phone with the best specs it can throw at it, so the Kirin 980 processor will be out, and the Kirin 990 (or whatever it ends up being called) will be in. Huawei's own chips are usually very capable and the 2019 update should be no different. The phone is going to need a decent amount of RAM and a pretty large battery to handle those multiple screens: something like 6GB or 8GB of RAM should do it. The internal storage should be pretty generous as well, and might well be able to be augmented with the nano SD memory cards Huawei is reportedly on the verge of launching (see the Mate 20 phone for details). Camera-wise, Huawei will probably pack dual and even triple-lens sensors into its phones. With the foldable screen the main selling point of this particular handset, Huawei could settle for a dual-lens configuration in this case – possibly with a 24MP rating overall. ​Huawei is rather keen on beating Samsung to the punch when it comes to launching a foldable phone, and it's also keen on adding another feature to the mix: 5G. The foldable handset should work on the fastest 5G networks around the world once it sees the light of day. Waterproofing and wireless charging are likely, though with all the other tech Huawei is reportedly cramming into this handset, some compromises might have to be made along the way. Finally, Huawei will also squeeze an in-screen fingerprint sensor into the overall foldable phone package – the tech is reportedly coming to the Huawei Mate 20, so it could well be on the cards. 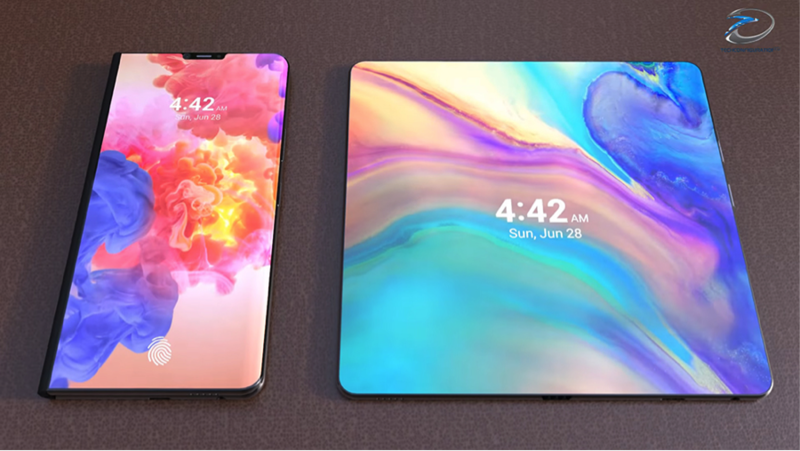 Something we can say with confidence is this is lining up to be one of the phones of 2019.The biggest question is what panel maker will supply the display and there have been reports that BOE, Samsung and LG are the likely candidates. 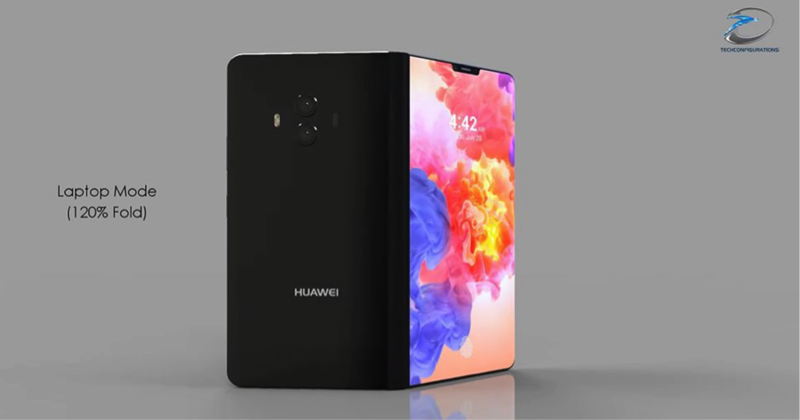 We assume that Huawei has received samples from each of the three plus Visionox and that if Huawei wants to deliver a foldable phone in 2019, with any amount of volume they will have to use Samsung.